Andreas Tilliander made his name releasing dubbed out electronica and glacial hardware techno for imprints such as Mille Plateaux, Raster Noton and Kontra Musik. 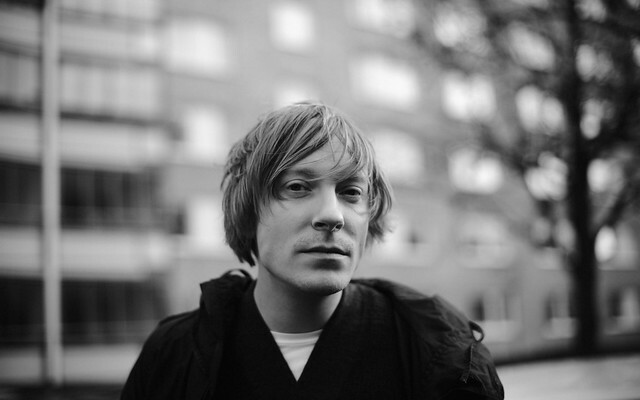 Along the way he also made about a dozen other names; adopting more alias’ than you can shake a Scandinavian stick at - Lowfour, TM404, Komp, Svaag and Rechord are just a few of his assorted pseudonyms. His latest record comes from under the ‘Mokira’ moniker - a name which has tagged some of Tilliander’s oldest, most influential productions. This said, I may have been a little hasty in defining the so titled ‘Skaka Hund Skaka’ as a record - host entity S.E.L.F. or ‘The Swedish Electronic Liberation Front’ beg to disagree. “Just like Magritte’s pipe wasn’t a pipe, this is not a record” declares their press statement accompanying the release. Personally I reckon it probably is a record, but without getting too caught up in another Cartesian episode, the release whatever it is, is rather captivating. The fact each track title is a variation on the release title ‘Skaka Hund Skaka’ is fitting considering they all feel cut from the same mould. The same web of static, rolling drum machines and echoing clicks and taps are common to each. Skaka Hund Skaka’ & ‘Skaka Skaka Hund’ for example are barely distinguishable from one another, it is only (as the onomatopoeic title might suggest) the order of clicking percussion and swelling bass rumbles which separates them. There is a slight deviation to this formula in intermediary track ‘Hund Skaka Hund’, which is reminiscent of the 3am warehouse jams you might find on a label like Electric Deluxe, albeit on a heavy dose of sleeping pills. The track crawls forward drowsily, its bassline plodding forward as if trekking across the desert for days on end, weary and disorientated. With the Mokira alias having been out of service for the last four years, ‘Skaka Hund Skaka’ puts the project back on the map in fine style. Minimal, dubbed-out techno with lots of static may sound like a simple formula, but when under the guidance of an artist as well versed as Tilliander, it can turn out to be something quite special indeed.